Didn’t know Talisman Winery before Taste of Sonoma. 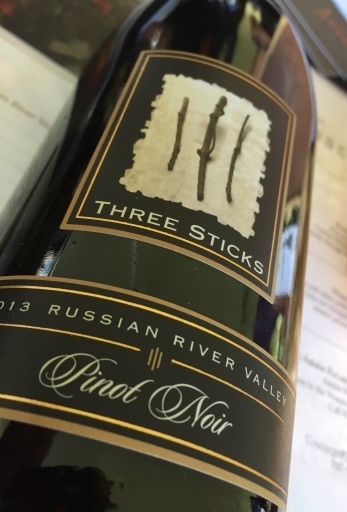 They sources grapes from many different places for their Pinot program, but this one hails from Mendocino County’s Yorkville Highlands. 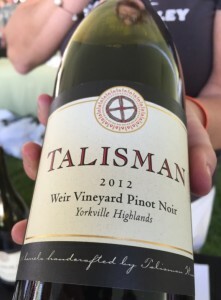 This fruity-tinged-with-earth Pinot wowed me. $65/bottle. 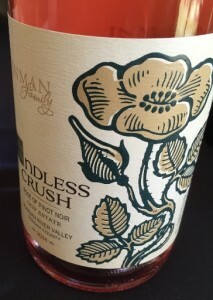 Inman Family is a fabulous Russian River Valley Pinot Noir producer, led by Kathleen Inman. This rose shows she does pink right too. $25/bottle. 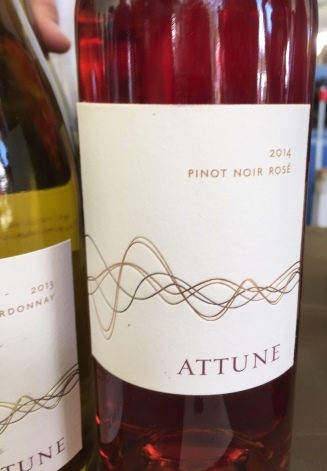 Didn’t know Attune Wines before the event. 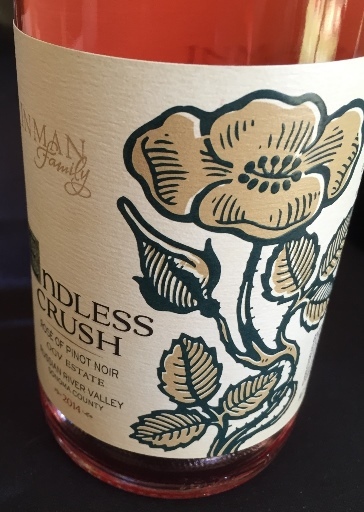 Liked all their wines, but the rose was the stand out for me. Teensy producer, run by a groupd of wine-loving partners. $28/bottle. One guy, behind a table with two wines. No frills, just a guy who likes to make wine. 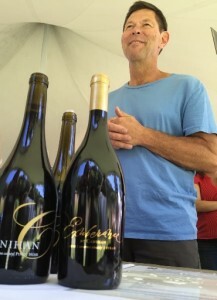 Canihan Wines is based in Sonoma Valley, where Bill Canihan grows organic estate grapes. Both his Canihan Pinot ($50) and the Exuberance Pinot Noir ($75) were mighty impressive. 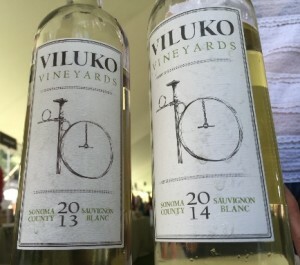 Tried side-by-side vintages of this wine and the differences were remarkable. 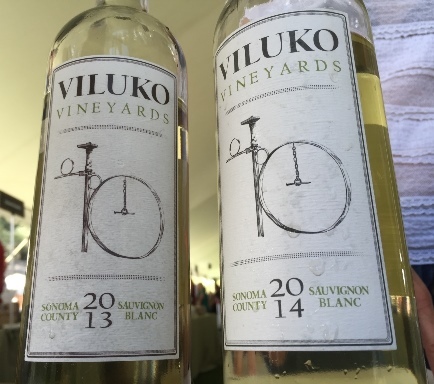 2013 was riper than 2014, which had more citrus flavors. High elevation, mountain vineyards can be this way. Wasn’t familar with this winery until this event. $26/bottle. Three Sticks is kind of a cult winery in Russian River, since Bob Cabral — former winemaker at mos’ def culty Williams Selyem — is now leading the winemaking efforts. You pretty much can’t buy it without being on “the list” but give it a try. Everything Dunstan Wines makes is beautiful. Absolutely beautiful. From Chard to Pinot, it’s almost an honor to get to try them. Super small production. 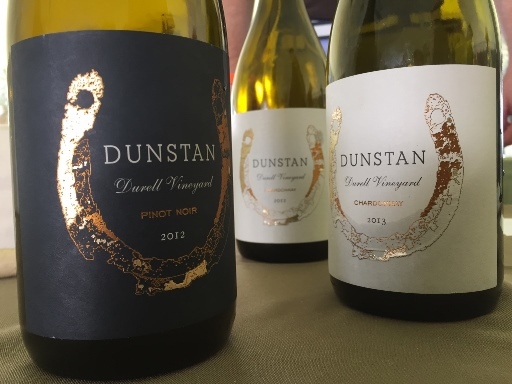 single-vineyard from the famed Durell Vineyard in Sonoma Valley. Chardonnay, $45; Pinot Noir $55.